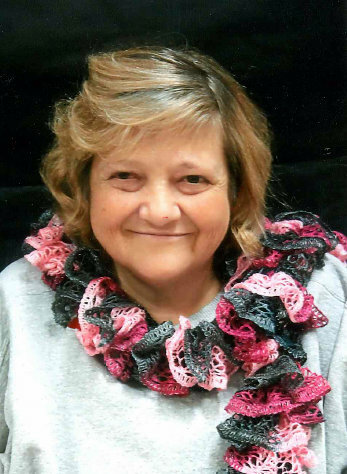 Graveside services for Lisa Ann Belcher, 53, West Plains, Missouri, will be held at 2:00 p.m., Thursday, March 21, 2019 at Ledbetter Cemetery, under the direction of Robertson-Drago Funeral Home. Mrs. Belcher passed away at 6:34 a.m., Monday, March 18, 2019 at Mercy Hospital, Springfield, Missouri. She was born August 26, 1965, at West Plains, Missouri, to Kenneth Earl Roberts and Maxine Rhine Roberts. Lisa loved spending time with her grandchildren and going to the river. She had attended church at Gospel Hill and Bethany. She is survived by her husband, Freddy Belcher; two sons, Craig Belcher and wife, Jennifer and Ethan Belcher; one daughter-in-law, Lacey Belcher; three grandchildren, Brayden, Valarey and Kenneth; two brothers, Larry Roberts and Bobby Roberts and wife, Becky; one sister, Marjorie Hensley; and several nieces and nephews. Her parents and one son, Derek Gene Belcher preceded her in death. Mrs. Belcher will lie in state from 5:00 until 9:00 p.m., Wednesday, at Robertson-Drago Funeral Home. Memorial contributions may be made to the family and may be left at Robertson-Drago Funeral Home. So sorry to hear such sad news of Lisa’s passing. My prayers go out to her family. My GOD wrap his arms around them in this time of loss and need. Lisa will be greatly missed. We are so very sorry to hear of Lisa’s passing. Our thoughts and prayers are with her family. Lisa will now be a guardian angel to watch over us. No matter how sick she was she always had a smile for me. May your memories comfort you and knowing that she is no longer in pain and suffering lighten your grief.